Hello Happy Campers! Welcome to WEEK #3 of SUMMER CAMP 2018 here at The Digital Press! I hope you are having fun! This really is my idea of a great camp... not a tent or bug in sight . My name is Corrin, and I will be your camp counselor for the WEEK #3 LETTERS HOME challenge! One of the fun parts about a holiday can be finding and writing postcards to friends or family, and this challenge is a little like that! It is a writing challenge, in that you need in make a page that includes some journaling - at least 100 words, and addressed to someone (as a letter home is addressed to someone!). I would also like you to include at least 5 word strips on your page. They can be single words on a word strip, or several words on a wordstrips, that is up to you, and the words on the word strip can count to your total of 100 words. The topic of your page is also up to you, I chose to make a page about a funny moment with my daughter, it doesn't need to be related to camping or holidays, but should tell us a story, much like a letter home from camp would do. My page is addressed to my daughter, and I chose to use individual word and phrases on word strips as part of my 197 words of journaling. I did not count the title as part of that 100 word total, or the elements that have words that are not part of the main journaling (so the "unique" sticker doesn't count, because it is not part of the main narrative), but I did make a word strip to contain words that I wanted which were not part of the kit. So now it is up to you! I hope you will enjoy this challenge, and I can't wait to see what you will do, so hurry back and post a comment here with a link to your page in the gallery! 1. Your new page or project must contain one hundred (100) words of journaling (or more!). 2. The journaling needs to be addressed to someone (like a letter would be addressed to someone). 3. Your journaling needs to contain at least five (5) wordstrips that help to tell a story. 5. 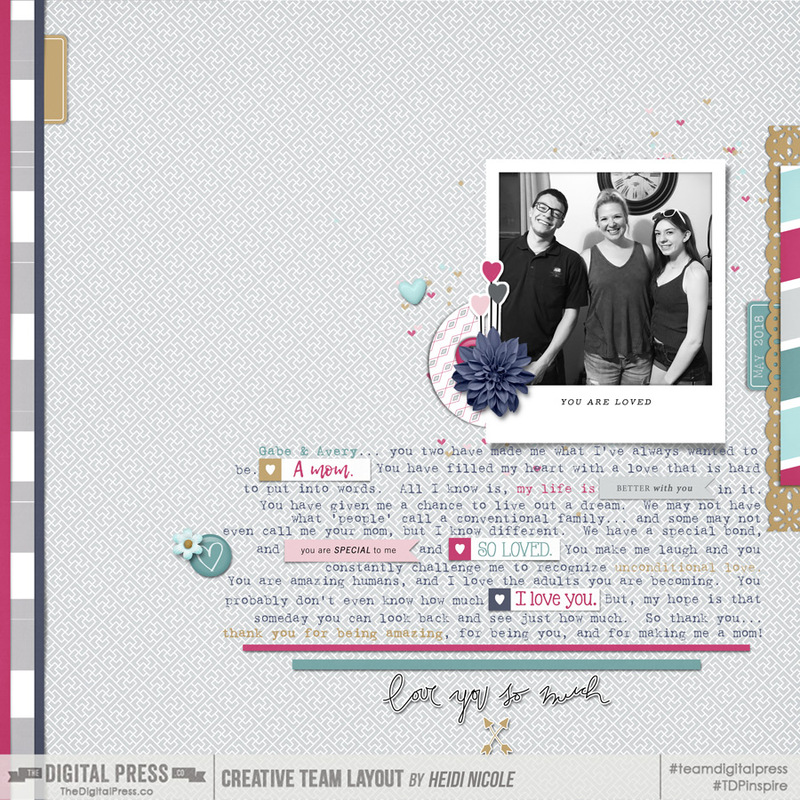 Load your layout into the challenge gallery here at TDP and then comment in this thread with a link to your page in the gallery. Last edited by Laura Passage; 07-15-2018, 10:44 AM. Oooooh good one! Here's mine! Great challenge. Loved the addition of the word strips. 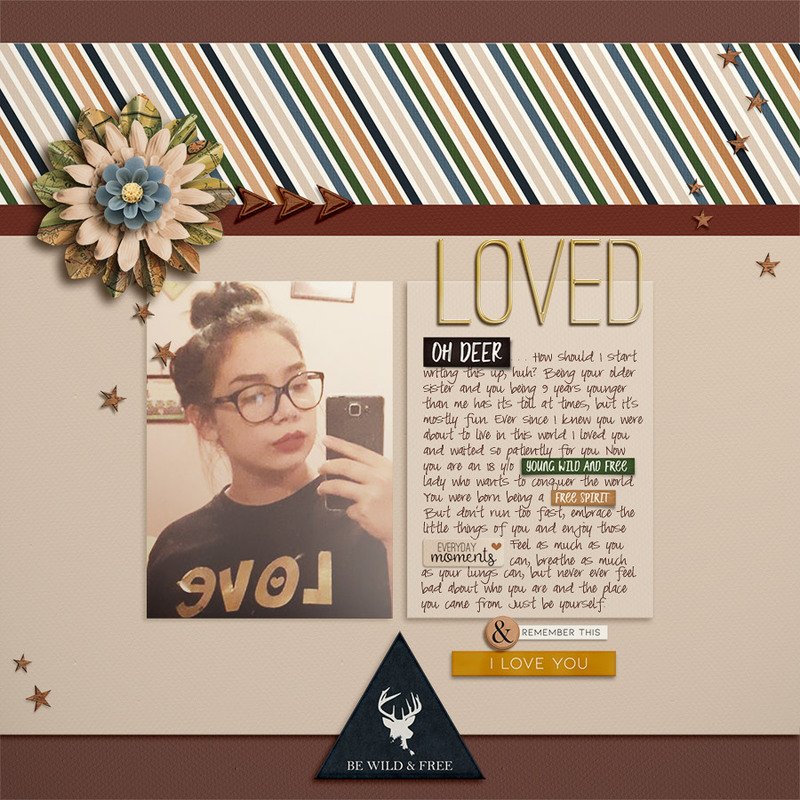 Last edited by tiffany scraps; 07-17-2018, 06:30 PM. such a relief to find yummy things that suit our needs! my ending word bits (& remember this, I love you), also are part of my journaling. beautiful jpurnaling, and what a great colour match that kit is for your photo! Last edited by corrin; 07-17-2018, 02:09 PM. 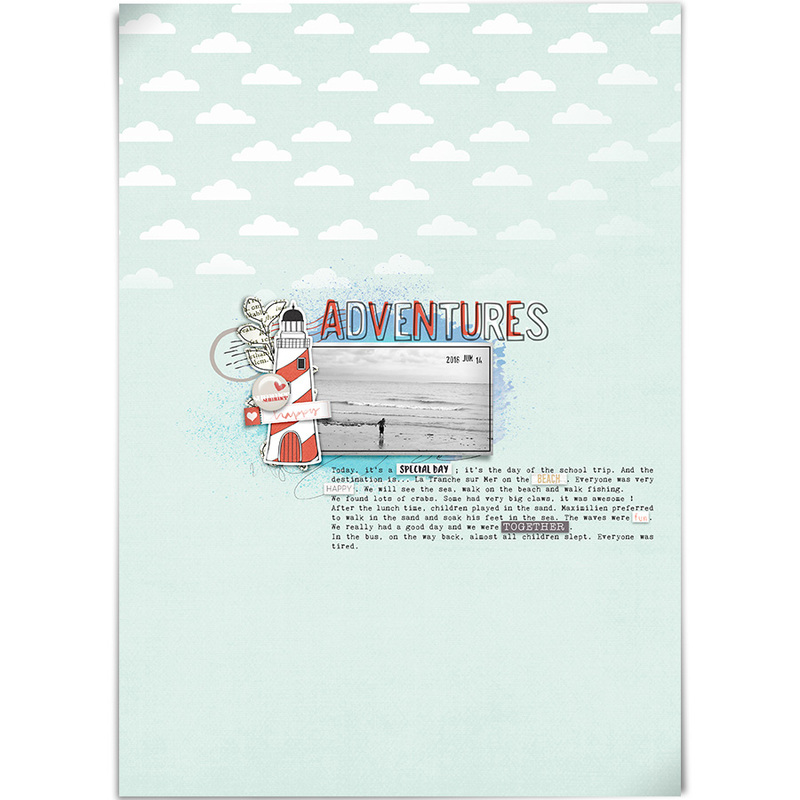 Beautiful journaling, and I love the blues and greens of your page, with pops of pink - so pretty! 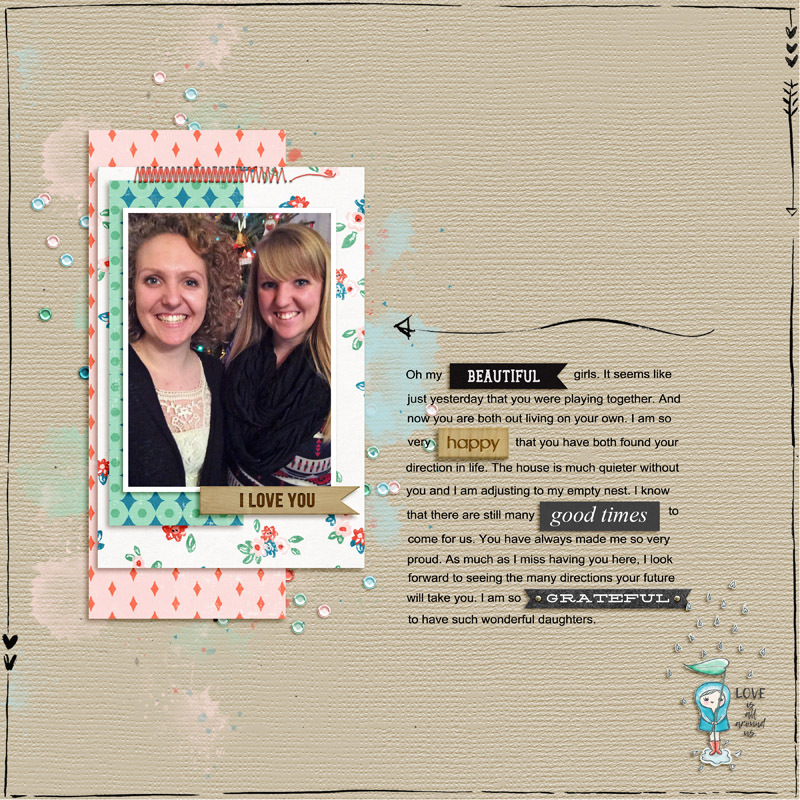 I love your page and the inspiring journaling! 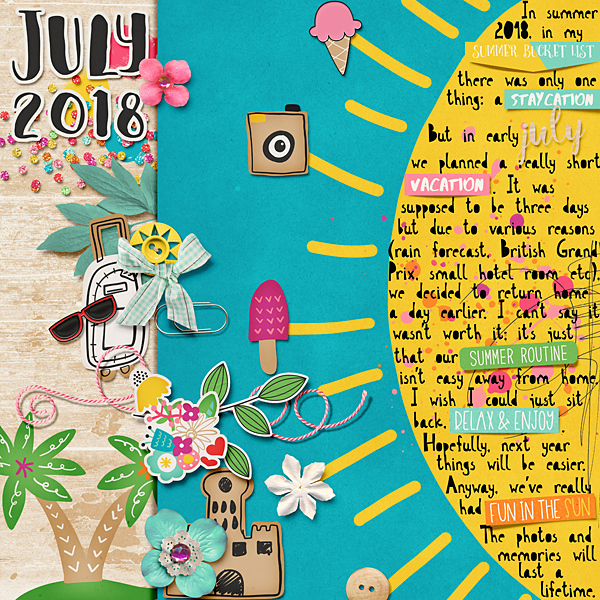 Such a pretty page I love the doodle border and colourful scatter. 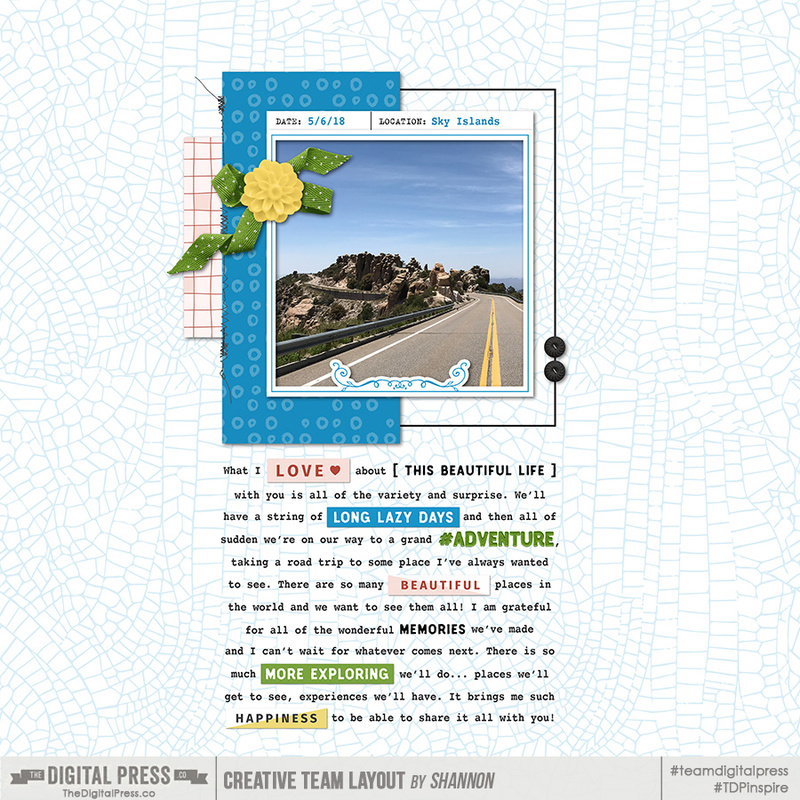 The wordstrips fit right into your journaling, and it looks great! I hope the word art that I included counts for the word strips! I just couldn't find the right paper word strips to fit my theme! Main kit used: Calistasstuff "Carpe Diem", elements also taken from Kimb "Ta-da" and "Reminisce," Juno "WeAreFamily," and AnitaDesigns "CountonMe"
beautiful job Gaelle, and your English looks perfect to me! 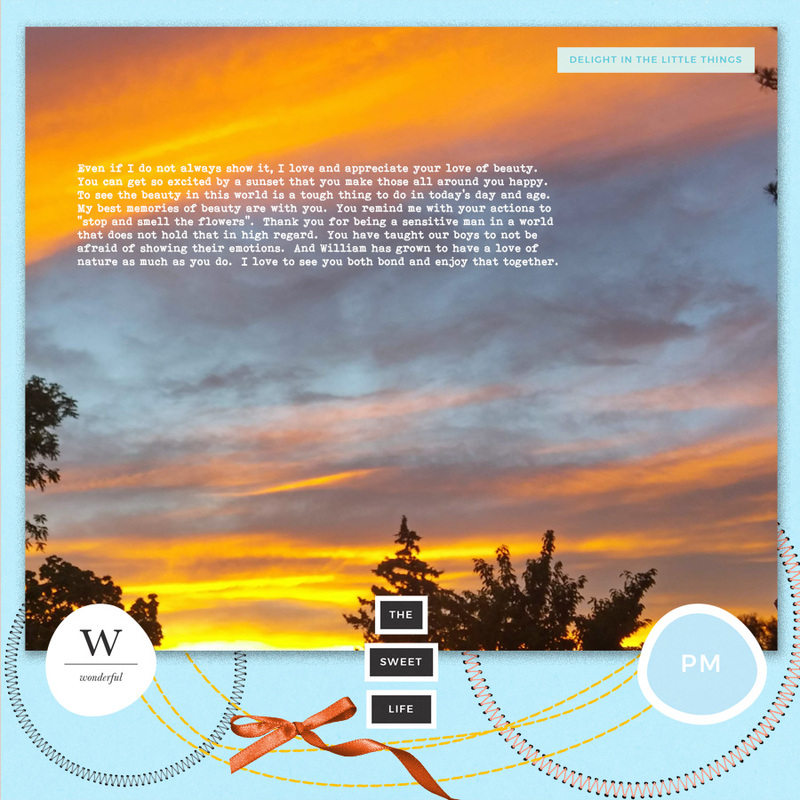 Beautiful journaling, and what a fantastic sunset! Love it! This was indeed quite the challenge and definitely not something I've ever done before! Template Used: ad_destinationescape_tp08 (modified to fit one photo. 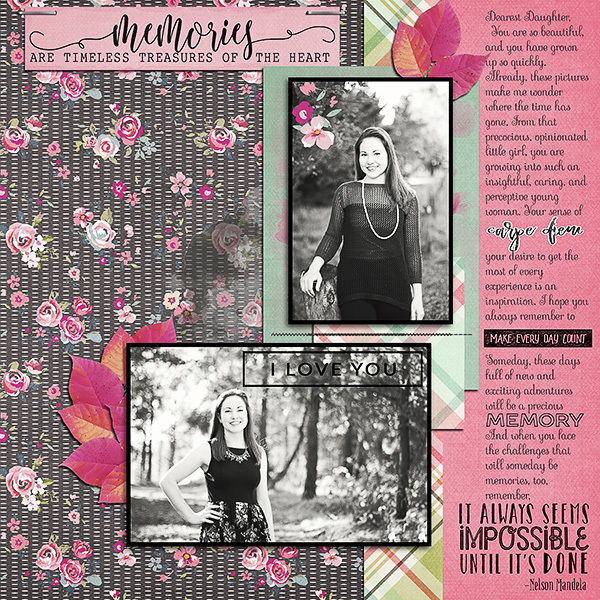 Also used: Dawn Farias You Tube video tutorial, handwriting on digital scrapbook pages. Used the same technique to include some doodles. Last edited by lauriezyskind; 07-19-2018, 07:46 PM. Conratulations on 11 years together!! Yay! I love you hand doodle, and the heart too! 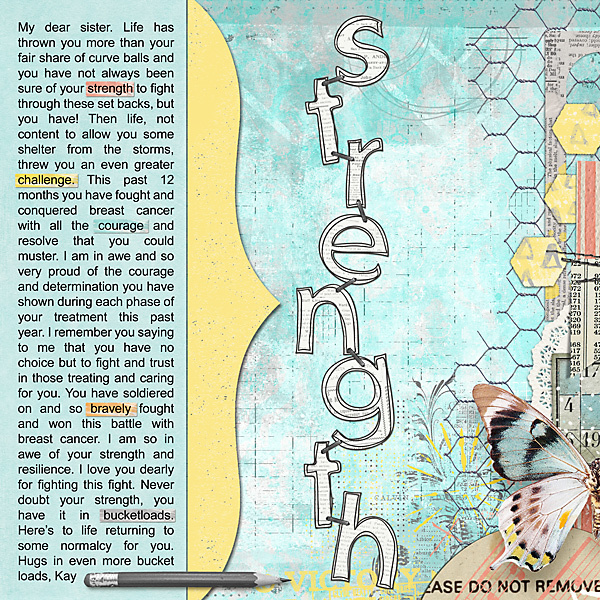 Such lovely journaling, and big hugs and congratualtions to your sister in her fight against cancer. So here's how this one's supposed to read: To the pondering, hungry, hangry, happy ... always hungry T.Rex in the house, (and then the rest of the journaling). 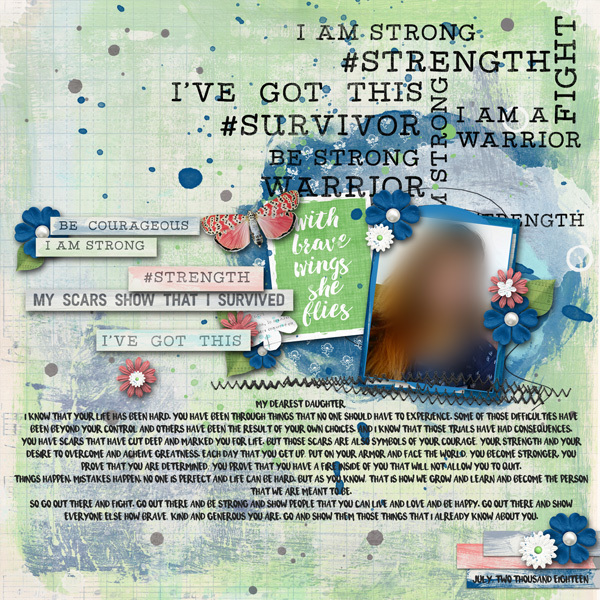 I used those descriptive words again in my journaling and highlighted them with the footprint stamps underneath, but didn't use separate word strips again since my title is (in my mind at least) part of the journaling. Last edited by caliten; 07-20-2018, 08:41 AM.